“Software as a service” is a method that looks to transform the archaic nature of software licensing, firmly planting the customer back in the driver’s seat. SaaS, or “Software as a service” is a method of software delivery and licensing where software is accessed online on a subscription basis, rather than purchased and installed on individual computers. It may seem, on the surface, that this would be a quick and easy way to update your software, but often, the user quickly plunges into a customer service void once installation has taken place. A disconnect becomes quickly apparent between the service on offer, and the support and customer services the subscriber is able to access. And unfortunately, it doesn’t take a genius to realise that simply dropping customers at the checkout will have an inevitable impact on their overall experience of a service. It’s an industry-wide problem in the SaaS space. Subscriptions are sold, then subscribers, users—customers!—are left to navigate the technology themselves. Strong leadership among SaaS providers in the fintech space can be attributed to four key drivers, central to which is a company’s engagement with its most important component—the customer. 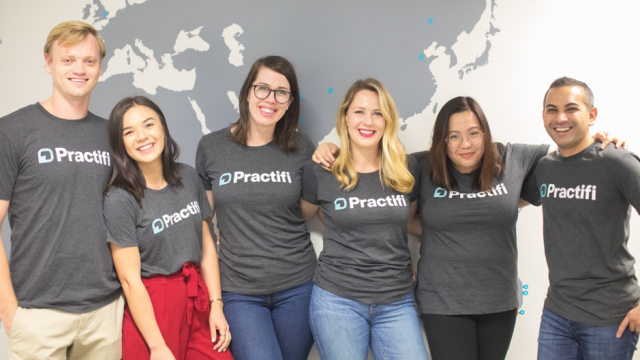 Lindsey Hanson, Head of Customer Success at Practifi, an Australian cloud-based business management platform now with offices in the US, believes that good customer service will always be what sets a service provider ahead of the industry crowd. In contrast to many of the products in this space, Practifi puts their customers’ success at the core of what they do, and Lindsey is quick to point out a number of ways the company is achieving this. In doing this, users are fully supported in making the technology work for them and their businesses, setting them up for success. People—and their relationships—are integral to every commercial agreement. There’s much less chance of having a frustrating interaction with technology if you have a dedicated team of professionals working alongside you. Lindsey continues, “Every level of the business should invested in the idea that in order for it to be successful, you should be seeking to build a base of advocates . “Our customers are our best referrers, our best generators of product ideas, and our best promoters. Your customers, according to Lindsey, are investing in your service in order to streamline and minimise the time and effort spent on “low-value” tasks and processes in their business, which detracts from the time they are able to commit to higher value engagement activities with their clients. SaaS within the fintech space is a competitive marketplace, so from Day 1, new service providers should be committed to developing approaches—for example, to exceptional customer service—which will set them apart from comparable or like-minded companies. “When I was hired,” Lindsey explains, “I asked our founder Adrian Johnstone if he considered customer success a cost of doing business or a revenue generating operation. Customer success—the ongoing experience and not simply the capacity to provide technical support, which is a given—is something every company should take seriously. Looking ahead to the future, Practifi is already imagining a larger, evolving, global team to meet their increasing business demands. The entire management and leadership team are looking to continue to increase engagement and participation through industry roundtables with clients, targeted best practice training, and more of Practifi’s Customer Success Managers partnering with clients at their internal strategy days and sessions. Continued success in the SaaS space can only be achieved by travelling the “long road” with subscribers, rather than simply billing them for access. In today’s global digital landscape, it’s the big difference, and companies wanting to excel in this space would do well to consider Practifi’s ongoing achievements in offering subscribers a unique vision in concert with an established formula. Loyalty is everything, indeed, and success will come from being committed to developing authentic business partnerships, backed by a dedicated, passionate team of support staff focused wholly on customer success. About Practifi: Practifi is the new benchmark for CRM-based systems in financial advice. As a cloud-based business management platform, it manages clients, partners, providers and centres-of-influence through a clean, intuitive interface. With offices in Sydney and Chicago and loyal clients across APAC, Europe and North America, Practifi is passionate about partnering with advisers, providing the tools required to lead the financial advice firm of the future.